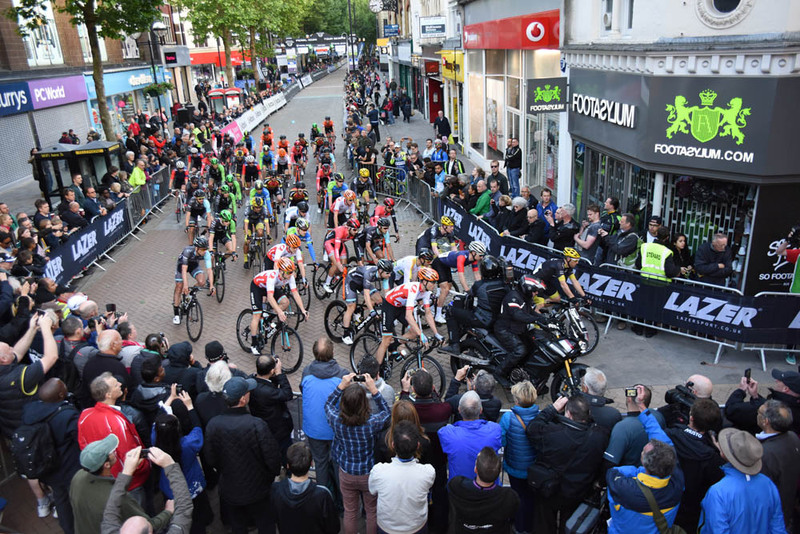 Marcin Bialoblocki won the eighth round of the 2015 Pearl Izumi Tour Series in Croydon on Tuesday evening, with his One Pro Cycling squad also taking the team honours. Bialoblocki was part of a decisive five-man escape group that also comprised Tom Stewart, Tobyn Horton (both Madison-Genesis), Alex Paton (Pedal Heaven) and Andy Tennant (Team Wiggins). The Madison duo of Stewart and Horton drove the pace of the break along, and before the end of the race around a tight circuit in central Croydon, they had lapped the main peloton. With Stewart delayed after a crash, the win was contested from the remaining group of four. Bialoblocki accelerated hard along the finish straight, out-pacing Tennant to take the victory with Horton in third. >>> Is this the best Tour Series marginal gain? 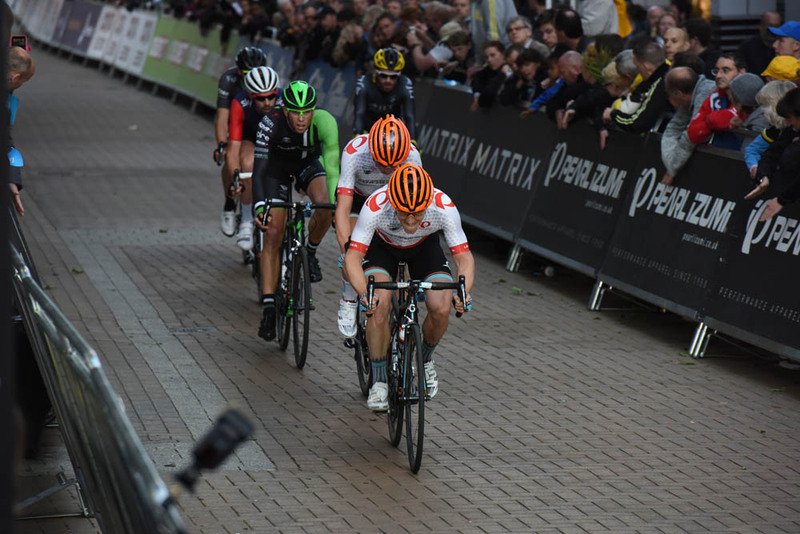 One Pro Cycling had massed at the front of the chase group to ensure they took the team victory on the night, and have again edged closer to overall series leaders Madison-Genesis in the team competition. 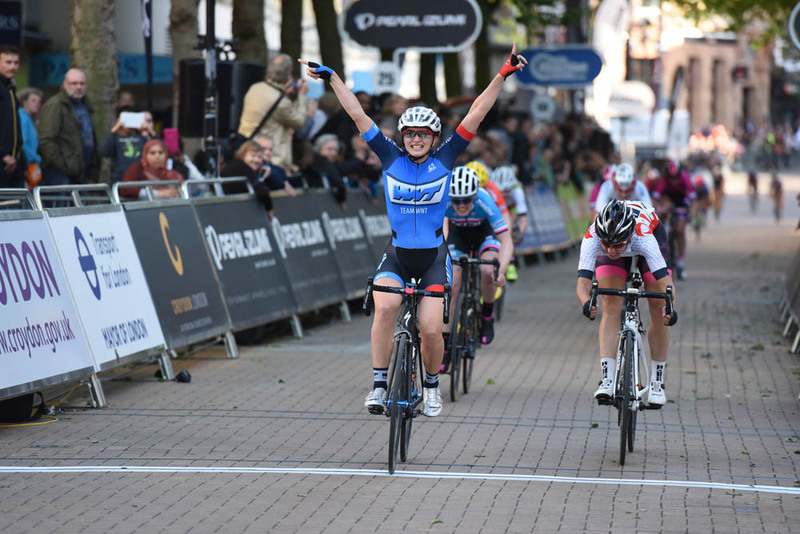 Earlier in the evening, Charline Joiner (Team WNT) won the third round of the 2015 Matrix Fitness Grand Prix ahead of series leader Nikki Juniper (Giordana Triton) and local favourite Louise Mahé (IKON Mazda). The Pearl Izumi Sports Tours International squad featuring Dame Sarah Storey, Gabriella Shaw and Katie Curtis took the team award on the night despite Storey colliding with a mother and child that had entered the fully-barriered course unexpectedly. 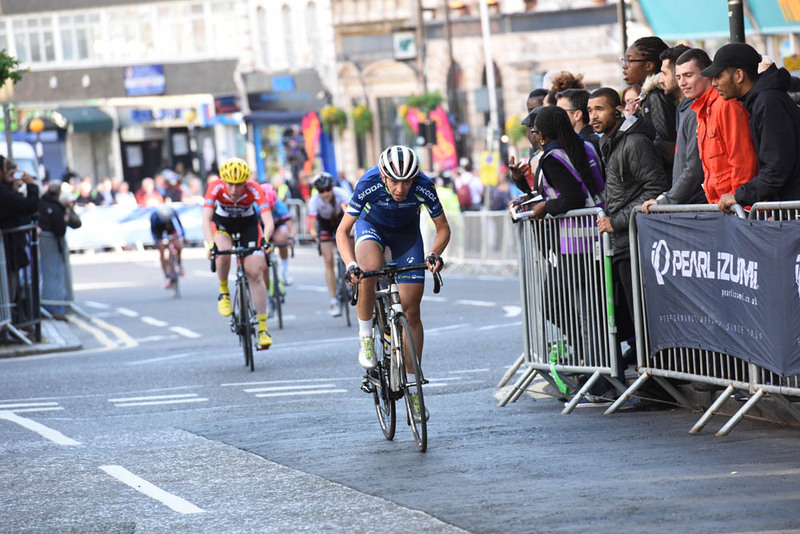 The next round of the Pearl Izumi Tour Series takes place at Canary Wharf, London, on Thursday, June 4. 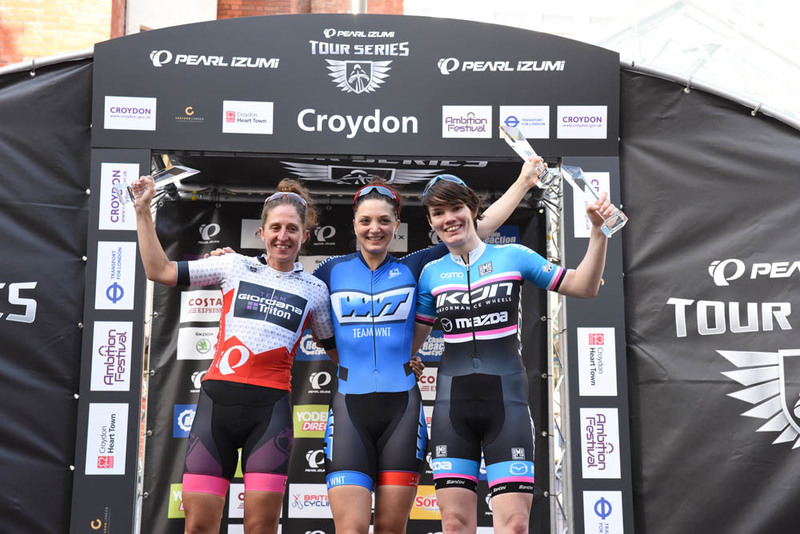 Television highlights of the Croydon round will be shown on ITV4 at 10pm on Wednesday June 3.